Perseverance means you stick to your job or task no matter how difficult. You keep going. Teaching babies perseverance can be fun and an important aspect of their later personal life skills. When see the book ‘The Little Engine that Could’ … what do you imagine? Probably a cute and comical blue engine that was determined and persevered until he made it to the top of the hill. No one pushed him and no one jumped in and did the hard task for him. That is the same way to teach your babies perseverance. Create opportunities for them to persevere on their own. Repetition helps make your baby feel safe and learning increases. Bringing out a special hand puppets sing and tickle ‘Hello my little friend’ at the beginning of your activity each time signals to your infants that play-time is about to begin. Say ‘hello’ to each baby while smiling and looking into their eyes say: “Hello my little friend! It makes me happy to see you today!” Get close enough so that they see the joy on your face. Sing: Good Morning and tickle or snuggle each child with puppet. Give each baby a little felt Bible. “The Bible tells us that Jesus loves us sooo much! 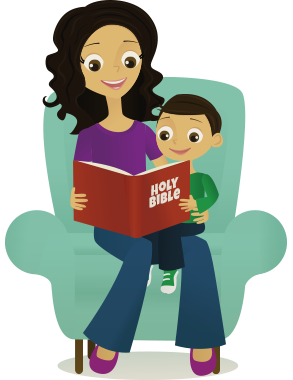 Sing: I Open My Bible Carefully and The Bible is for Me! As you put th!e Bibles in the basket or have the children put their bible in the basket, immediately hand out the scarves … gently wave them as you hand them to the children. Sing: Jesus Loves Me! Wave the scarf back into the basket and hand the music makers to each child. As they are exploring their music makers set up an obstacle course using the baby blankets rolled up into soft logs. Bring out the Soft Play Forms and place in your obstacle course. “Come my little friends! Follow me.” As your children start to explore the obstacle course quietly put the Rattles and Shakers away and turn on the Baby Mozart CD. Watch and encourage your babies as they try to climb over the blankets and soft foam. “You can do it! Keep going little ones! Hurray! You did it” Clap your hands and smile as your encourage your children to persevere. Sing: Play-time is Over while picking up the toys and waving Good-bye. Good bye little toys, Good bye soft carpet, Good bye my little friends! Thank you Jesus for my little friends! Our happy play-time is over; and we are cleaning up!